Remember way back in 2011 when Mayesh decided to do this crazy contest looking for a designer to be the face of our first floral design video series? Also, I remember being excited when our first video almost hit 800 views in its initial month of going live, while today this month's design video has well over 10,000 views on YouTube and Facebook combined in just 14 days! Top that off with the fact that our videos are watched around the world from the US to the UK, Taiwan, Spain, Brazil and beyond - we can truly say that we have created a series that has reached the far corners of the world. I love taking the time to reminisce, appreciate how far we have come, and know that this part of our journey is still well and will continue to evolve. However, none of this would have been possible without our amazing and inspiring Mayesh Design Stars who all share the passion and love of sharing their knowledge of floral design. My team had its work cut out, as we had 38 people enter this year's contest! And I know I say this every year, but it still is true - we are blown away with all of the amazingly talented people who entered the contest. We watched every video, reviewed workshop curriculums, debated, conducted interviews and deliberated some more. Thank you to everyone who entered this year's contest. We appreciate all of the hard work and effort that went into your entry and we treasure your support! 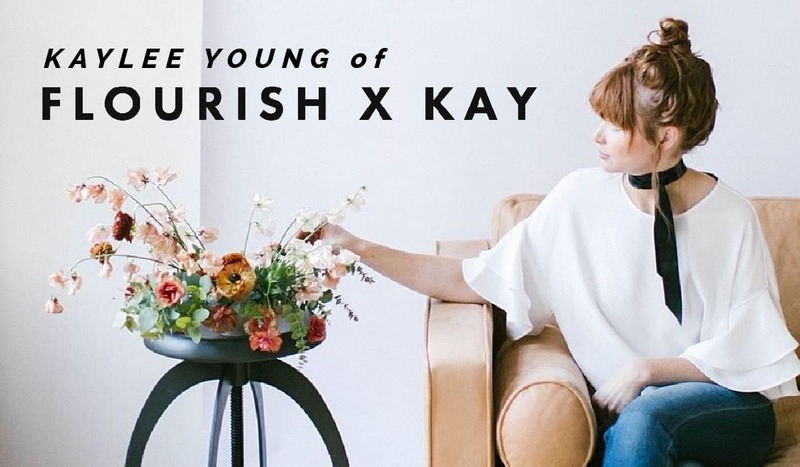 With the deliberations complete, I am happy to finally announce our 2018 Mayesh Design Star, Kaylee Young of Flourish by Kay!! We love her energy, her fresh ideas, and are excited to start collaborating on our 2018 Mayesh Design Star tour and video series. To give you just a tiny taste of her 12-page proposal, Kaylee's theme is "CURATE, CREATE, BE YOURSELF, AND THRIVE" - I think that mantra really resonates with our community! Get to know Kaylee in an upcoming interview that will be posted on the blog very soon.